Stream anime episodes online for free, Watch One piece Episode 126 English version online and free episodes. Anime Episode guide One piece Episode 126 English dubbed I Will Surpass You! Rain Falls in Alabasta! 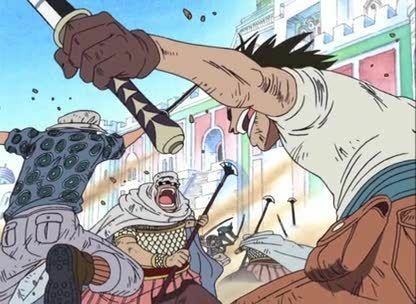 Luffy defeats Crocodile by punching him through solid bedrock. When Crocodile falls, the rain-drops calm the soldiers.